The former host of the Man Show and Loveline lives and breathes automobiles. Though his racing exploits have been documented well here, he's expanded his gearhead following with his current podcast, CarCast, which delves further into his obsession with cars—particularly his affinity for Porsches of a certain vintage. That dedication to the marque comes, at least in part, from his reverence for Paul Newman, the late acting legend and racing driver. 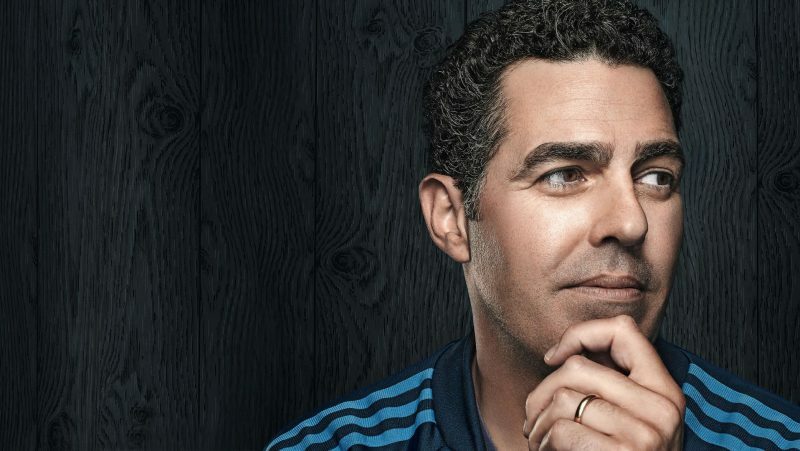 Like Newman, Carolla's enjoyed success in both show business and motorsports, despite getting into racing rather late in life. Now the owner of Newman's class-winning 935, Carolla is a regular competitor at high-profile vintage racing events in the U.S. The famously critical comedian finds few flaws with the "timeless" Porsche 911. However, his obsession goes beyond just driving. He's a dedicated student of the sport who appreciates its history; directing two films in the last few years: The 24 Hour War and Winning: The Racing Life of Paul Newman. In a recent interview with Porsche, the acerbic comedian opens about his irks and his loves, a simple recdipe for happiness, and the one thing he wouldn't dare do inside one of his beloved 911s. It's reassuring to see someone so famously picky, so concerned with minutiae, and so perpetually irritated find few flaws with the Porsche 911—a car he describes as "timeless."